"Shall we go surfing now? Everyone is learning how!" Keep your sun tan oil handy. 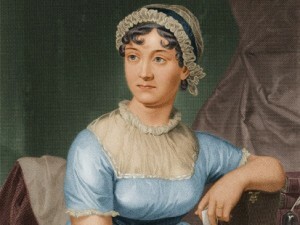 Jane Austen Days are coming to ACU English the week after spring break. 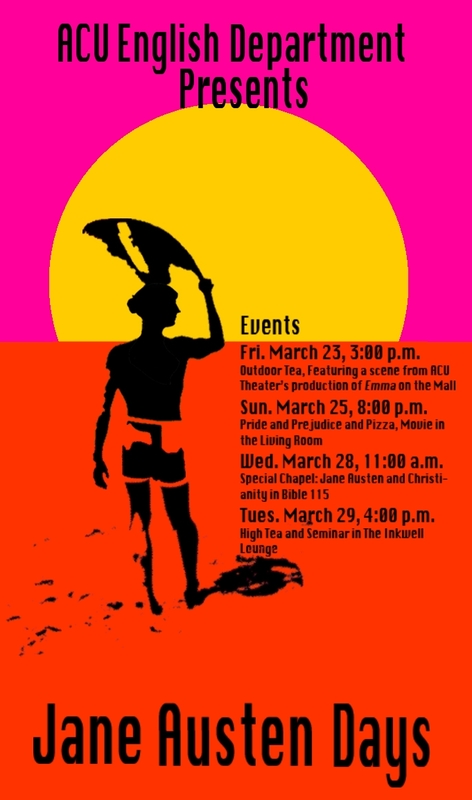 To celebrate one of the British Isles’ preeminent writers and the ACU Theatre’s upcoming production based on her novel Emma, Dr. Joe Stephenson has involved his Seminar students in putting together a series of literary gatherings and delectations for your enjoyment. See below. [Please note that the tea in the Inkwell is THURSDAY, March 29. ].